The key to unlocking a private equity investment’s full potential is a rigorous strategic due diligence. OGx Consulting provides data-driven answers to the most critical questions when deciding whether to pursue business deals and investments by thoroughly analyzing the business objectives, current and projected markets, competitive landscape, and the target company’s capabilities and culture. OGx’s rigorous and proven strategic due diligence methodology weighs risks, uncovers deal synergies, crafts mitigation strategies, and ultimately provides a final recommendation on whether to pursue the investment opportunity. To get a better understanding of why we believe strategic due diligence is critical when considering investment opportunities, please read our most recent strategic due diligence white paper. OGx’s approach involves working with our clients to determine the objectives of the investment opportunity, analyzing industry market trends, evaluating competition and the competitive landscape, and conducting an internal analysis of the target company to formulate the best strategy for success moving forward. OGx’s rigorous and proven strategic due diligence provides key significant benefits for our clients when making critical decisions about an investment opportunity. Chris is a Principal in the Denver office of OGx and leads the firm’s Strategic Due Diligence practice. He has over 14 years of experience across roles in finance and investment banking, private equity investments and operations, and management consulting. He has extensive experience in performing strategic due diligence. 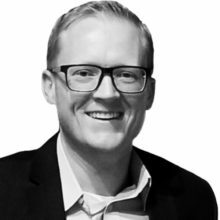 Chris holds a Bachelor of Science in Finance with High Honors from the University of Utah David Eccles School of Business and an MBA from the University of Chicago Booth School of Business. Alvin is a Partner in the Denver office of OGx. He has 25 years of management consulting experience across telecom, technology, public sector, and retail. He has substantial experience and expertise in business strategy assessment and valuation and is an instructor at the Daniels College of Business at The University of Denver. 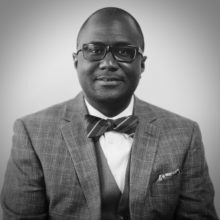 Alvin holds a Bachelor of Arts from the University of Ghana, a Master of Science from the University of Denver, and an MBA from the University of Chicago Booth School of Business. Dustin is an Engagement Manager in the Denver office of OGx. He has over 8 years of experience across roles as a United States Marine Corps logistics officer and a professional secondary educator. Dustin is an expert in market analysis, competitive analysis, and business model assessment. 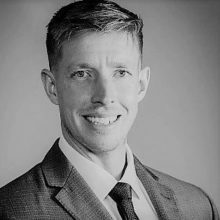 Dustin holds a Bachelor of Arts in Political Science and a Master of Education from the University of Illinois, and an MBA from the University of Denver Daniels College of Business. © 2019 OGx Consulting. Handcrafted by Outspoke.